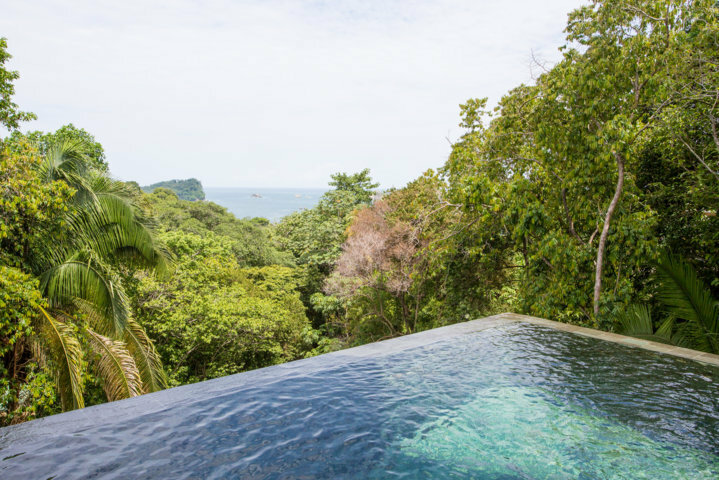 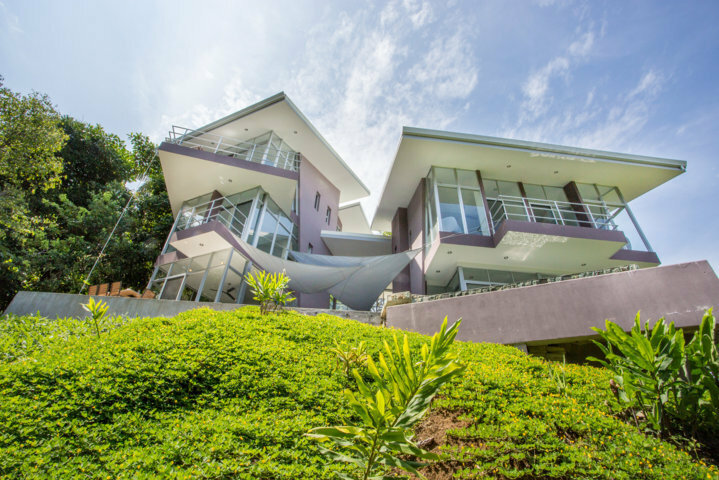 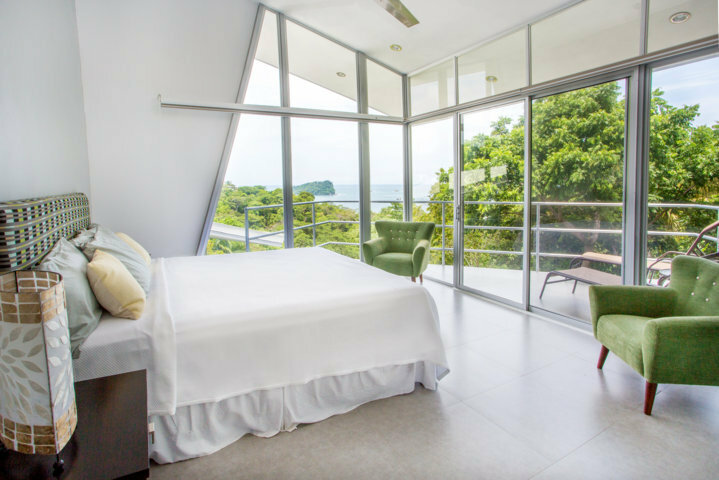 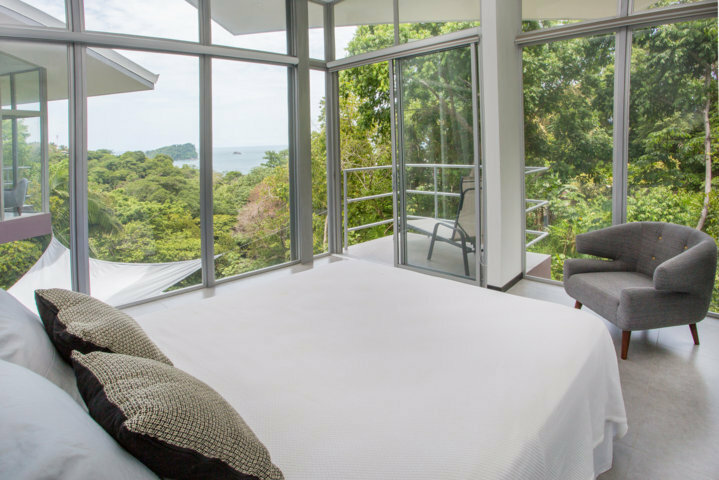 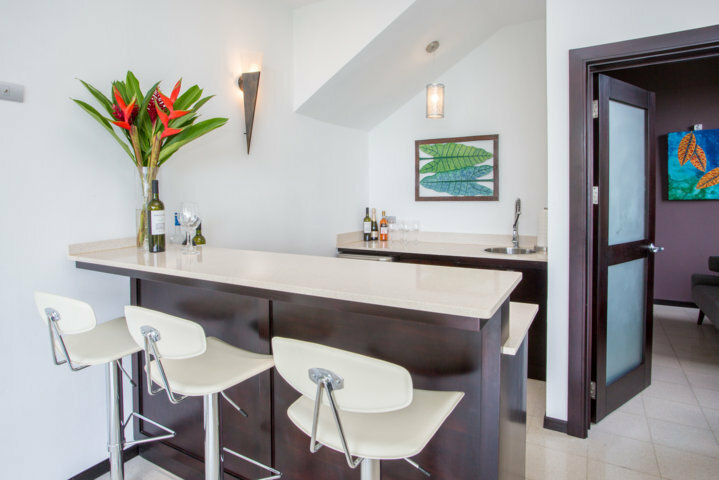 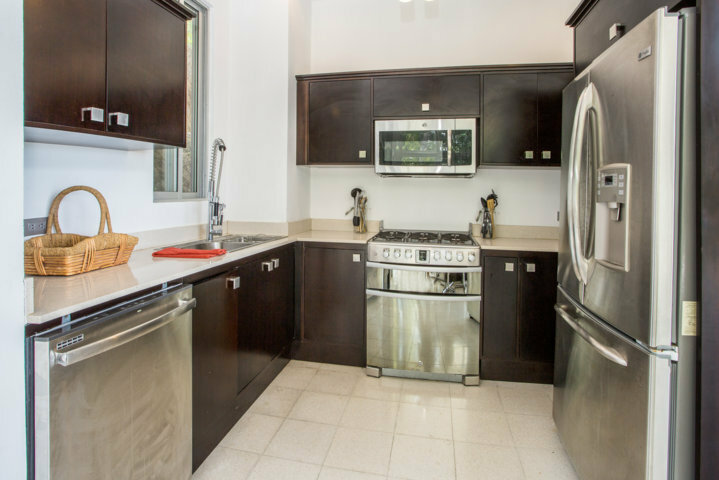 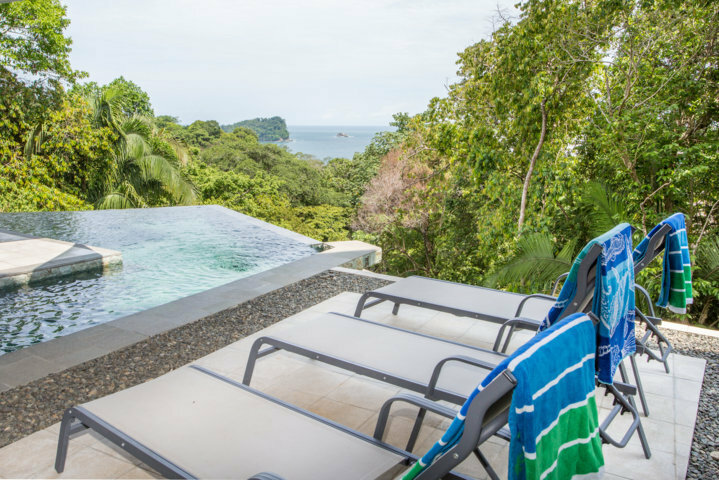 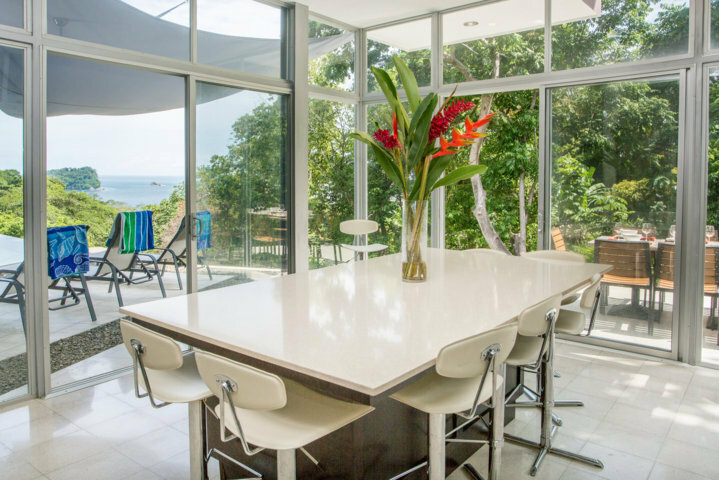 Villa Arbol is one of Manuel Antonio’s newest additions, recently completed November 2015. 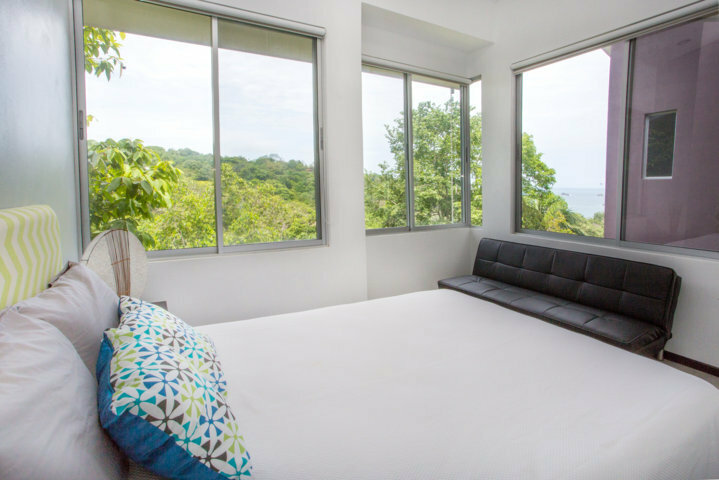 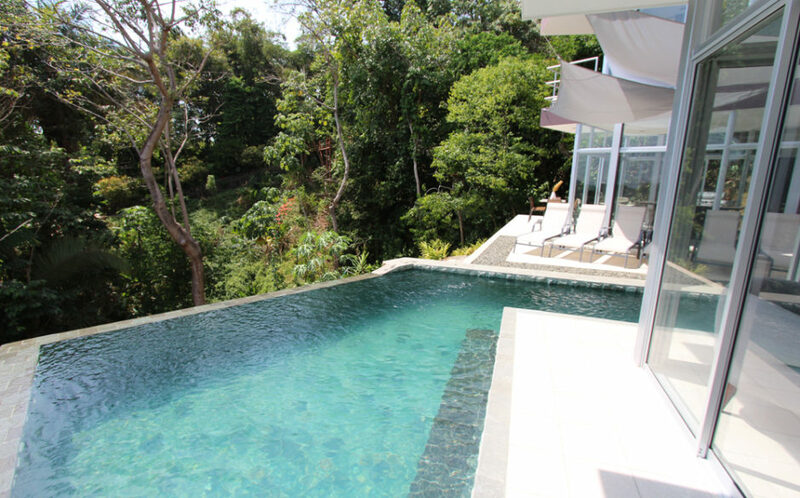 This modern/eco villa has stunning ocean views while surrounded by the peaceful jungle. 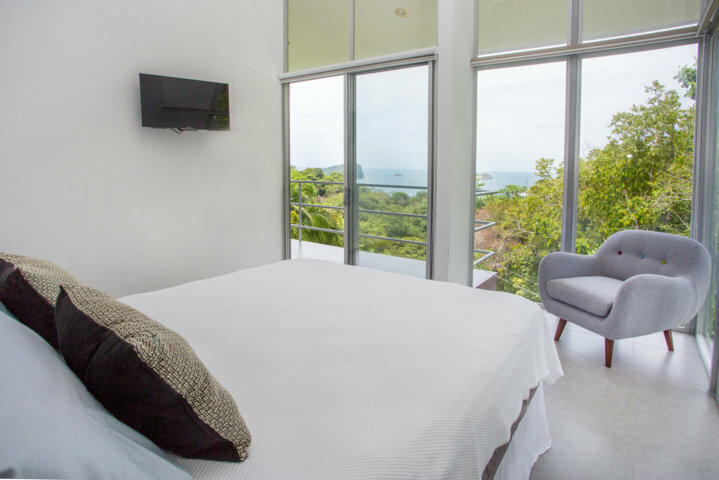 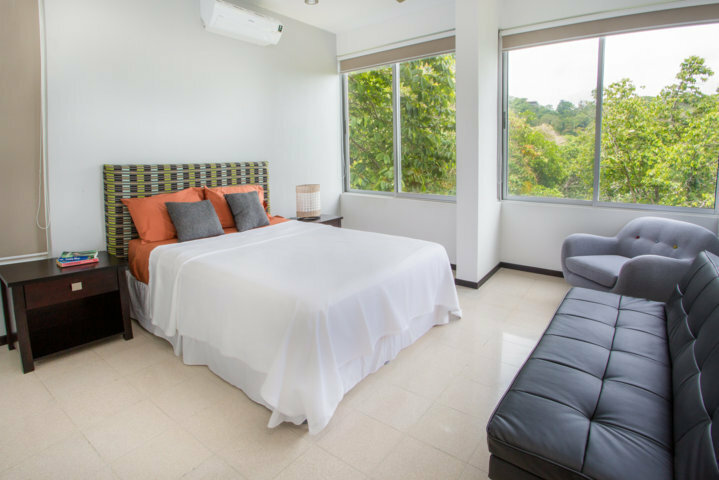 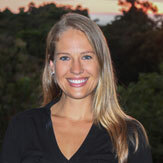 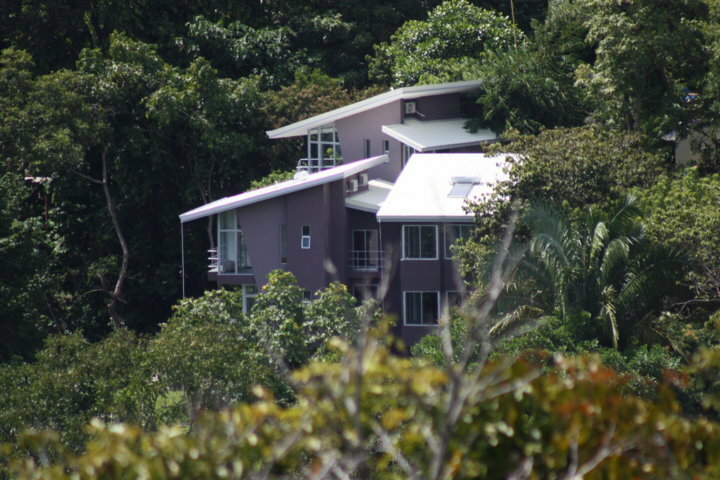 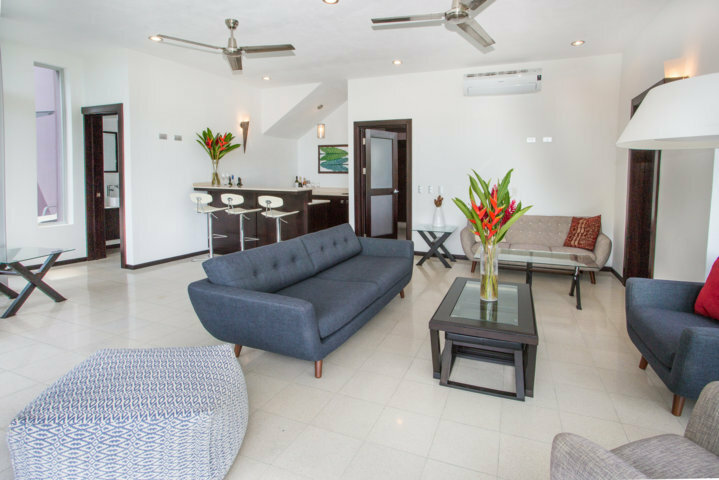 Located in central Manuel Antonio, walking distance to the beach/nightlife! 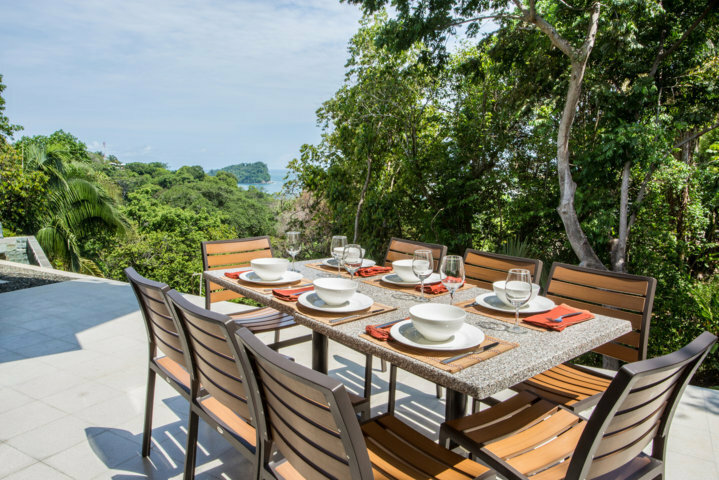 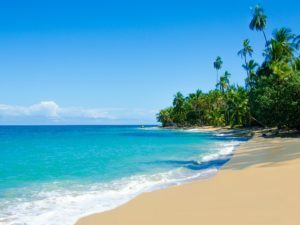 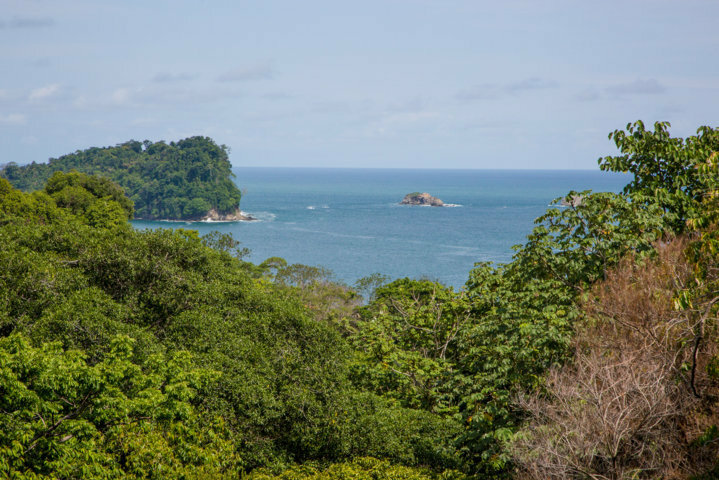 The property has direct access to the beach via a 15-20 minute Jungle walk, where you will encounter the flora and fauna that Manuel Antonio has to offer! 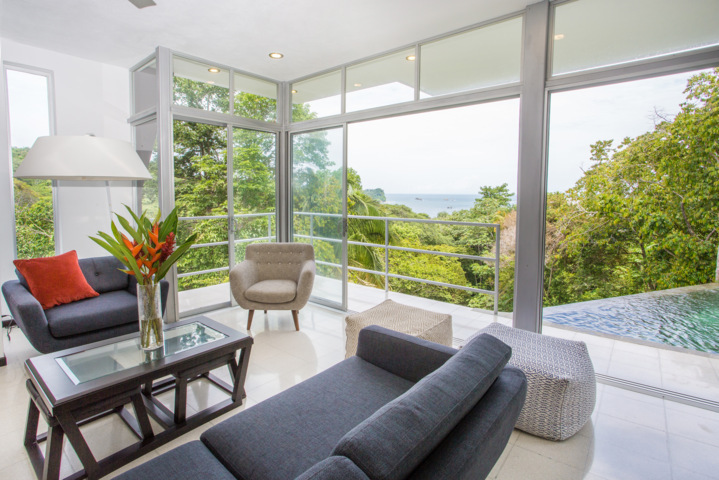 The open concept of the house truly gives our guests the feeling of jungle meets house. 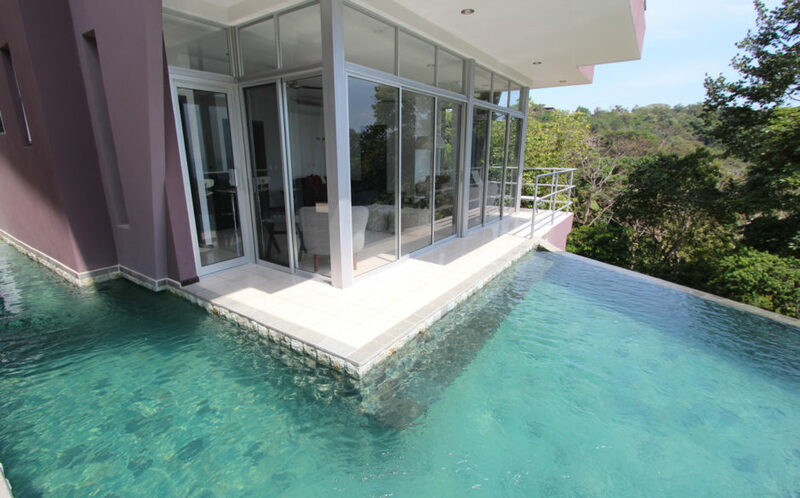 Both the kitchen and sitting room open up entirely to the pool and patio area.